A local dentist is accused of slapping an 8-year-old boy on the back after he opened a jar containing gauze. 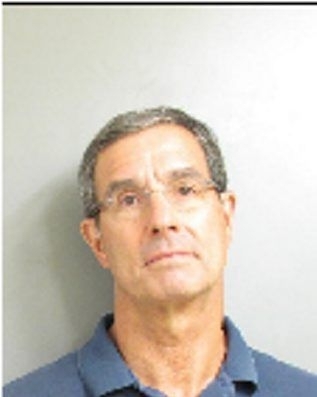 Dr. John Bassett, 63, of Windham turned himself in to police Monday after detectives obtained a warrant for his arrest on a simple assault charge. Police said the incident happened on May 18 at the dentist's office at 32 Stiles Road. The boy's mother brought her son to Bassett's office for a follow-up appointment. While there, the child touched some glass jars on a counter that held Bassett's dentistry equipment. The boy then opened the lid on a jar and started taking out some gauze. “We don't do that here!” the dentist yelled, according to the mother, and then he allegedly slapped the boy on the back with an open hand. Just as you were ready to tuck into a nice three-egg omelet again, comforted by the reassuring news that eggs are not so bad for you, here comes a study warning that for those over 40, the number of egg yolks consumed per week accelerates the thickening of arteries almost as severely as does cigarette smoking. Server, can you make that an egg-white omelet instead, please? The study, published Tuesday in the journal Atherosclerosis, measured the carotid wall thickness -- a key indicator of heart disease risk -- of 1,231 patients referred to a vascular prevention clinic, and asked each to detail a wide range of their health habits, from smoking and exercise to their consumption of egg yolks. Just as smoking is often tallied as "pack-years" (the number of cigarette packs smoked per day for how many years), egg-yolk consumption was tallied as "egg yolk years" (the number of egg yolks consumed per week times the number of years they were eaten). The study subjects were typically referred to the clinic after having suffered a clot-induced stroke or a transient ischemic attack -- a "mini-stroke" in which symptoms may disappear quickly but which often presage a more serious stroke to come. A 33-year-old woman has appeared in court charged with poisoning two of her colleagues at a dental practice in Bedfordshire. Ravinder Kaur appeared at Luton Crown Court charged with two counts of administering poison with intent to annoy, injure or aggrieve at a dental practice in Shefford. The charges relate to two separate incidents in March, in which two female colleagues suffered stomach upsets, said to have been caused by dental mercury poisoning, Bedfordshire Police said. A force spokeswoman confirmed that the accused, who is currently suspended from work, was not a dentist but worked at the practice. 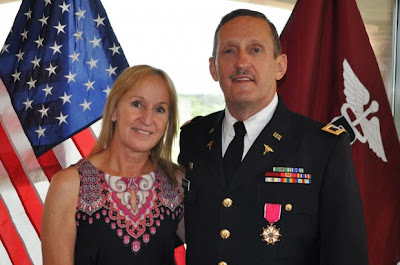 Col. Eric Wagner, a dentist who practices in Hampton and Sheffield, was recently awarded the Legion of Merit Medal for 38 years of service in the armed forces. Brig. Gen. Orlando Salinas presented the medal July 26 at Fort Sam Houston in Texas. The ceremony marked the conclusion of Wagner's 38 years in the service that included active duty tours in the Army and Navy, mobilization for the Iraq War and 25 years in the Army Reserve. The medal was awarded to Wagner for 10 years of service during the global war on terror. Wagner was called to active service in 2003 and served as the drilling individual mobilization augmentee commander for the Western Regional Dental Command from 2004-07 and for the Great Plains Regional Dental Command from 2007-08. He was chief of staff from 2008-12, directing activities of 70 dentists who make up the Dental Corps of the Army Reserve. The Legion of Merit is awarded for meritorious conduct in the performance of outstanding services and achievements.